​Industry Labels Co. was founded in 1998 and is a privately owned and operated small business. 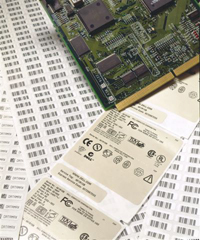 We offer a complete line of Thermal Transfer and Direct Thermal Labels, Laser-Printable Labels. Both stock and custom sizes and materials are available. 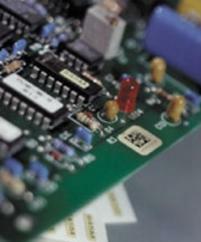 Our products are compatible with all major printer models, including Datamax-O'Neil, Zebra, Intermec, Godex and SATO. We also offer a complete line of Datamax-O'Neil, Dai Nippon/Sony, Zebra and Intermec Thermal Transfer Ribbons. At Industry Labels Co. we take pride in offering quality products to our customers every time. From our affordable stock of generic product identification labels to our ultra-durable custom thermal labels our products will not be outdone by any competitor on the market today. But that is not the only thing that Industry Labels takes pride in, another thing that is a cornerstone of our business model is making sure that you, the customer, is satisfied with every deal that we do. We believe in bringing a superior level of customer service to our clients, and as such we will work hard with you to make sure that all of your needs are met. Whether it is helping to create a quality custom label order to meet your needs, or offering free samples of our wide range of products before purchase to make sure that your infrastructure will work with the item that you have purchased, you will not find a better quality of service anywhere. So if quality goods and customer service is important to you then we would urge you to give Industry Labels Co. a try. Let us provide you with thermal transfer labels that will professionally represent your business. About Industry Labels Co - Product Identification Labels and More!